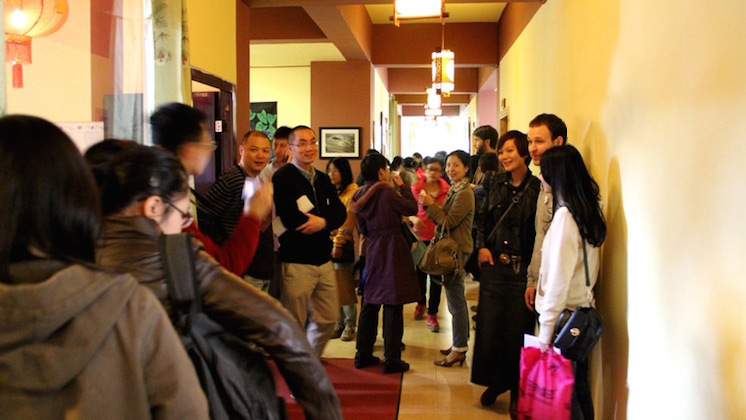 The CLI Center serves as the headquarters for your China experience. Our team has dedicated countless hours to developing a community-based environment perfectly conducive to rapid language acquisition — both in and out of the classroom. 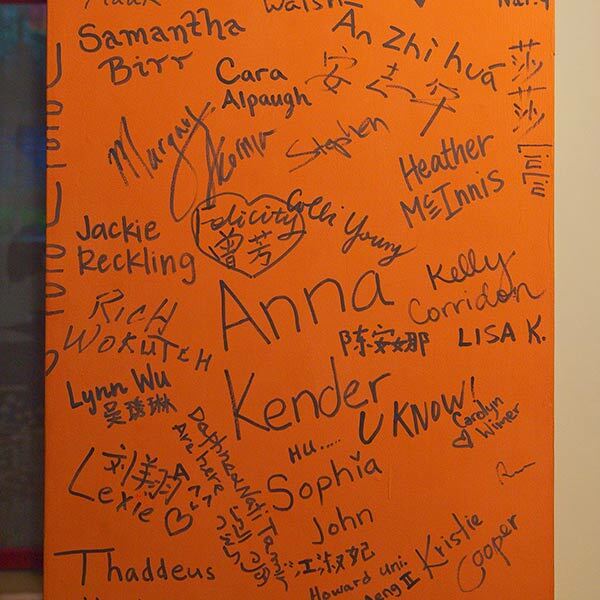 The CLI Center is your gateway to the boundless wonders, mysteries, and opportunities of China. 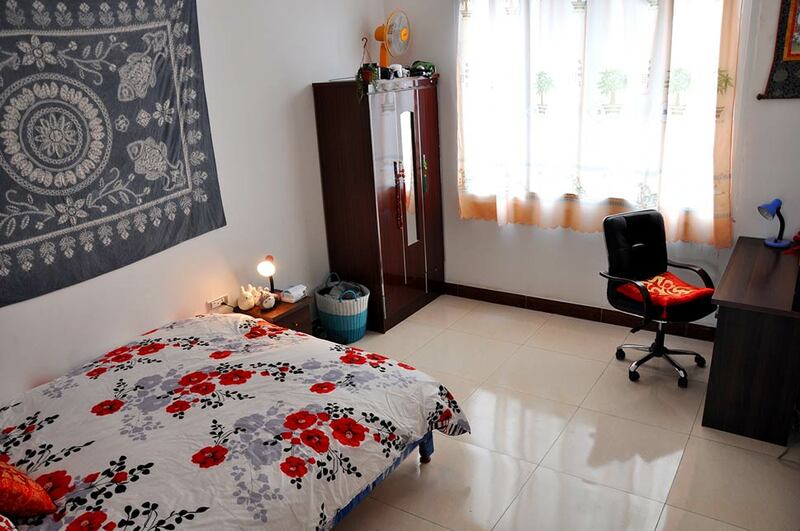 Located on a quiet road near Guangxi Normal University, the 5-story CLI Center includes 18 private classrooms, several study areas, a full kitchen and dining area, 3 stories of private bedrooms (each with a full private bathroom), and a recreational room equipped with a pingpong table, electric piano, and mahjong table. Use your mouse to adjust the camera angle while joining us on this immersive 360° video tour of the CLI Center. First and foremost, CLI is a vibrant community. 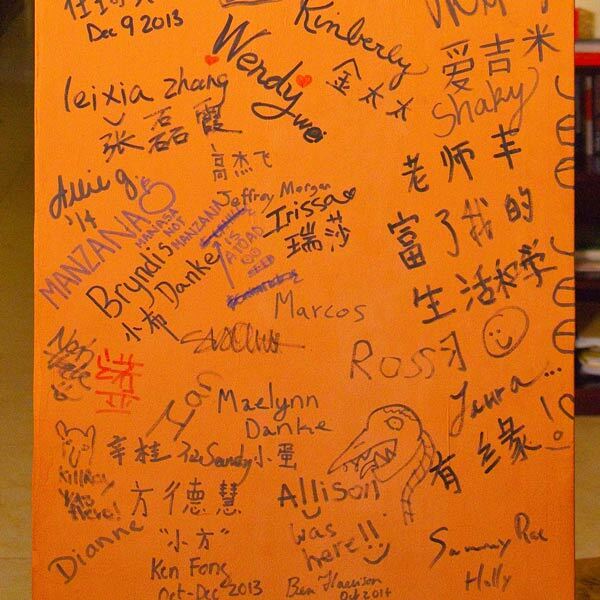 The CLI Center is home to students and friends from all walks of life and serves as a focused platform for language learning and cultural exchange. We maintain at least a one-to-one ratio of international students to local teachers, program directors, and community members. 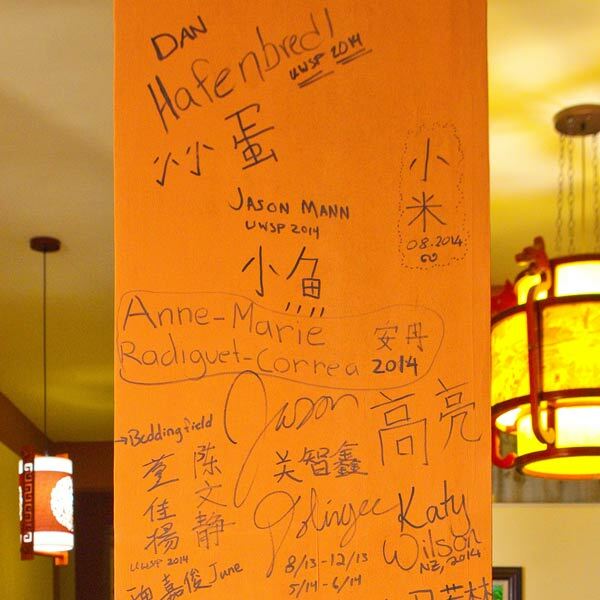 This, along with a warm and welcoming organizational culture, helps create the ideal environment to learn the Chinese language. Few foreigners live in Guilin and few locals speak English, which provides students ample opportunity to practice Chinese and avoid English. 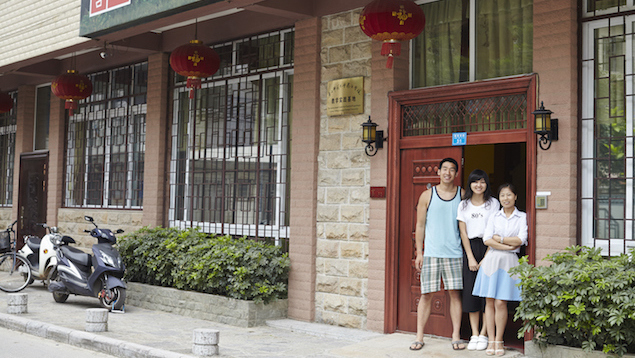 Locals in Guilin are friendly and curious and frequently seek to engage with international students. Students are exposed to both the northern and southern Mandarin accents, which provides them with a more well-rounded listening ability. Guilin is both countryside and city; traditional and modern; laid back and fast paced. Guilin’s famous natural environment is protected by national law, making the air and water much cleaner than in other parts of China. 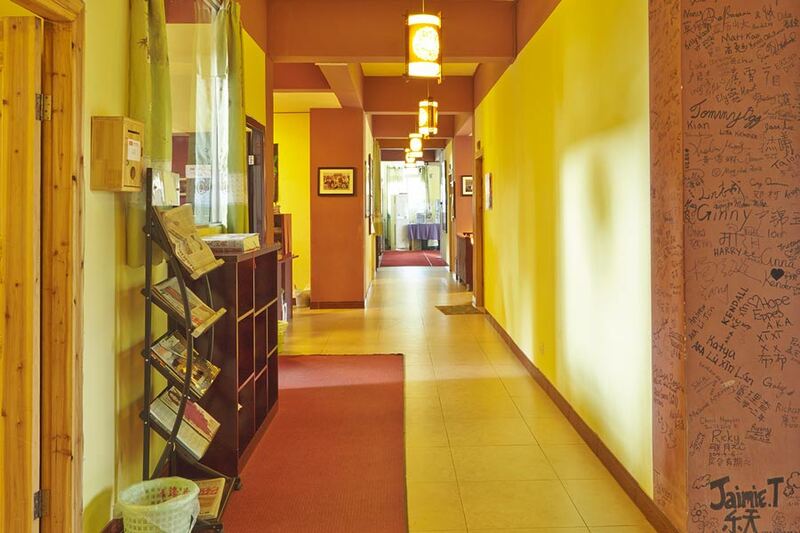 The recently renovated CLI Center is the perfect location to live, study, eat, relax, enjoy China, and learn Chinese. All bedrooms have a range of Western amenities, including free WiFi, heating and AC, hot and cold water, and a full Western bathroom. Equally important, all rooms are safe and secure. 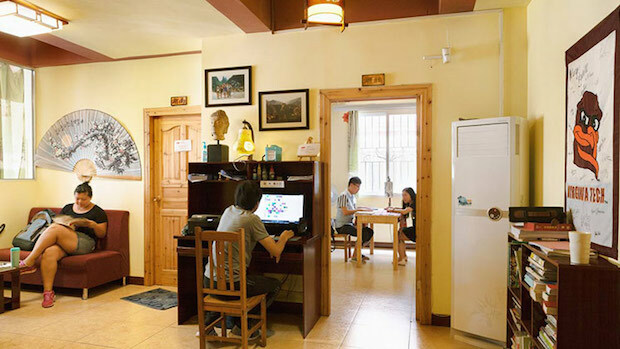 The CLI Center is safely located along a quiet street next to our university affiliate, Guilin as a whole is a very safe city in which to live, study and travel, and several full-time CLI team members live in the Center year round. 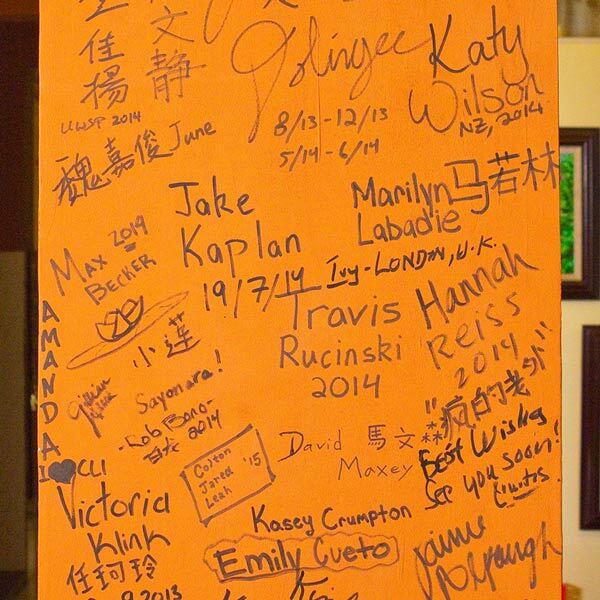 Your CLI accommodations will also be home to some of your classmates as well as many Chinese language instructors and CLI directors. More than 1,500 students from around the world have studied at CLI since our founding in 2009, and once you join our community, you’re a valued member for life. 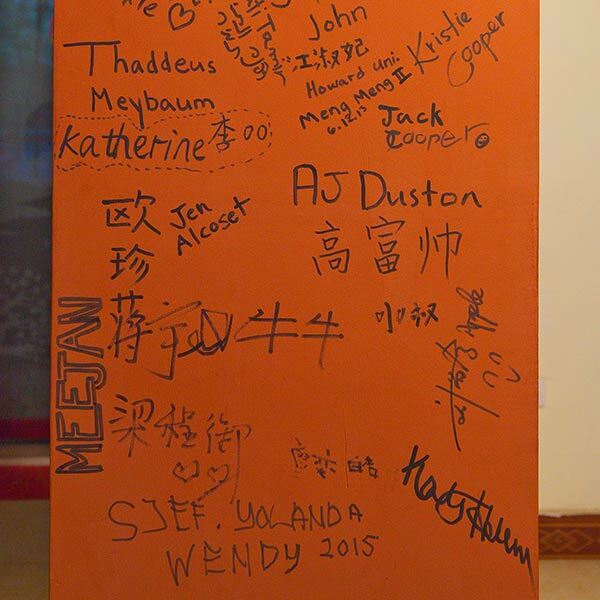 We’ve hosted students from over 40 countries and 200 universities, many of whom now work in China’s biggest cities at a range of leading organizations and institutions. The connections you make here will remain strong for life and open countless doors. The CLI alumni network remains close knit and program participants often stay in close touch with one another — and with CLI teachers and directors — for years after program completion. We welcome you to join our global network. Exit the airport’s arrival deck and board the bus headed for downtown Guilin. There is only one public bus that goes to downtown Guilin. The bus is usually parked in front of the airport’s KFC. The bus fare is around 20-25 RMB. It departs every 30 minutes from 6:00am until 9:00pm. Exit the airport bus at its last stop, which is called 民航大厦 (Mínháng dàshà). The bus ride should take about 40 to 60 minutes. Go to the bus stop that is on the same road that the airport bus traveled down and board the number 16 or 32 bus toward 三里店 (Sānlǐdiàn), which is in the same direction that the airport bus was traveling. The 16 bus costs 1 RMB , while the 32 bus costs 2 RMB. Ride the bus for about six stops (give or take) and get off at 朝阳路口 (Cháoyáng lùkǒu). The bus stop is just before a gas station. Continue walking down the street in the same direction that the bus was traveling. Take your first left at the intersection, which is about 50 meters from the bus stop. The road is called 朝阳西路 (Cháoyáng xīlù). Walk down the road, which is a bit of a back road, for about 300 meters until you see the CLI building on your left. Welcome to CLI! Feel free to call us at 0773-2180150 between 8:30 AM and 6:00 PM M-F if you have any questions. Exit the train station and continuing walking straight across the parking lot. When you arrive at the main road, you’ll see a bus stop diagonally and to the left across the road. The stop is called 桂林站 (Guìlín Zhàn). At Guìlín Zhàn, board the number 16 bus toward 三里店 (Sānlǐdiàn). The 16 bus costs 1 RMB. Ride the bus for about 12 stops (give or take) and get off at 朝阳路口 (Cháoyáng lùkǒu). The bus stop is just before a gas station. Welcome to CLI! Feel free to call us at 0773-2180150 if you have any questions. Feel free to call us at 0773-2180150 between 8:30 AM and 6:00 PM M-F if you have any questions. Note: Guilin has two train stations, “Guilin Railway Station” and “Guilin North Railway Station”. The above directions are for “Guilin Railway Station”, which is Guilin’s primary train station. Exit the train station and walk about 350 meters to the 桂林北站 (Guìlín Běizhàn) bus stop. At Guìlín Běizhàn, board the number 32 bus toward 三里店 (Sānlǐdiàn). The 32 bus costs 2 RMB. Ride the bus for about 15 stops (give or take) and get off at 朝阳路口 (Cháoyáng lùkǒu). The bus stop is just after a gas station. Walk down the same street the bus was traveling on but in the opposite direction. Take your first left at the intersection, which is about 50 meters from the bus stop. The road is called 朝阳西路 (Cháoyáng xīlù). Note: Guilin has two train stations, “Guilin Railway Station” and “Guilin North Railway Station”. The above directions are for “Guilin North Railway Station”, which is Guilin’s second train station. Turn right after exiting GXNU’s main gate (also known as the west gate). Walk down the main road for about 100 meters. Turn left at the first intersection, which is immediately past a gas station. The road is called 朝阳西路 (Cháoyáng xīlù).